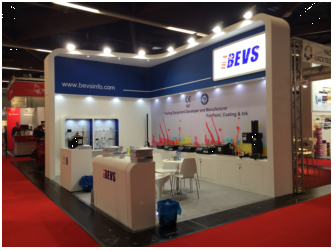 With a mind of learning, BEVS participated in the European Coatings Show(ECS2015) held in Nuremberg from April 21, 2015 to April 23rd. As the grand event of European paint industry, the European coatings show brings together the various leaders of coating industry, such as raw materials, production equipment, Testing equipment, paint and other international well-known enterprises . As the fresh blood of the European coatings show, Learning the advanced concepts is more important for BEVS than showing the BEVS’s latest products. 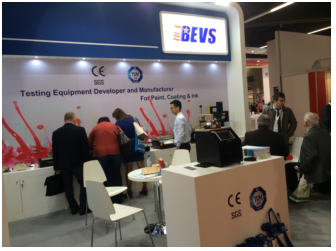 From the new products exhibited, BEVS was deeply touched: it is not just an exhibit exhibition, more is a microcosm of the industry’s future. From the exhibits, we can see that the concepts of more fashionable, more convenient and more humanistic process and service pattern is exploring. From the enterprise image, we can see the development is pay more attention to innovation and independence. 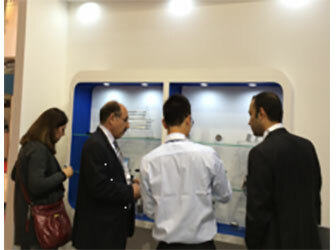 In communication with peers and exhibitors in the booth, BEVS has also been widely recognized. 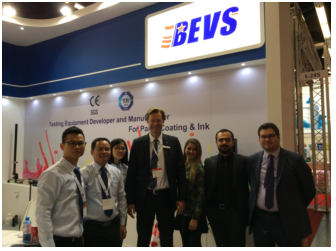 Many agency from different countries of Europe,such as Germany, France, Spain, American etc., showed great interests in BEVS.By operating and feeling on spot, they are confident in the technology and the quality of BEVS products. We believe that, the growing team of agents from all over the world will go further with BEVS in the near future by mutual support.